It should be borne in mind that the information presented in Astrology divination is consulted on the basis of people’s dates of birth. What Kind of Sign is Virgo? – Here are Things to Know about this Earth Sign! Anyone who is born between August 22 and September 22 comes under the sixth Zodiac sign – Virgo. 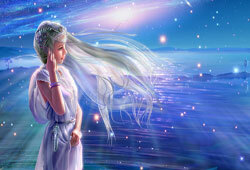 Being grouped into Earth element, Virgo people are commonly known for their hard work, loyalty, practicality and patience. Among the 12 Zodiac signs, it can be said that Virgo is one of the most work-addicting signs. A vast majority of Virgos find it happy when they are in work. Besides, the Virgos are not keen on playing outside or enjoying freedom and adventure like Aquarius and Sagittarius, they agree to work without playing. “All work and no play” are considered as Virgos’ keywords for a happy and expected life. Have you ever looked up at a clear night sky during the month of April? It is convinced that in such the period, a Virgin constellation is best viewed. Taking the Virgin as it symbol, almost all Virgo people are very modest and kind as they are willing to give helpful hands to their friends who need some practical and effective advice. In almost cases, once trouble-having people put Virgos’ advice into practice, most of them are convinced that it is very beneficial and trustworthy. Moreover, thanks to the influence of Mercury planet, a large number of Virgos possess brainpower. Their intelligence, long-term memory, and analysis ability enable Virgos to have a clear perspective on numerous matters of life. They find it easy to analyze things in details without missing any important and minor points. 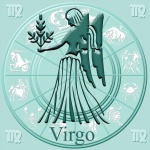 Hence, Virgo is considered as the most analytical sign among the 12 Zodiac signs. Not only criticizing others, but Virgos also criticize themselves. Sometimes, they easily get lost in details and are tired of their meticulosity, so fail to live in peace and harmony. Please don’t mind sending all of your questions and inquiries pertaining to the topic “Virgo Astrology” to us by submitting them in our available box.